Weather may not be the most fascinating subject of conversation, but it’s something we all check every day. If you’d like more entertainment from your morning weather ritual, this list is for you. We’re on a mission to prove that weather doesn’t have to be boring and with these apps it’s anything but. Your daily weather check will never be the same again. 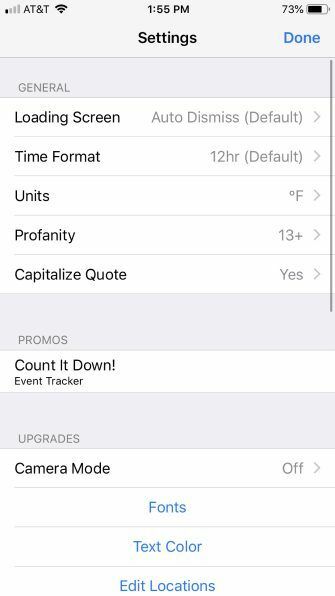 Adjust the profanity meter and get ready for a chuckle with HumorCast, powered by Dark Sky. You’ll see a phrase guaranteed to make you laugh at the icky weather outside your window. Want to know if it’s hotter than Lucifer’s armpit or colder than a digger’s behind? This app will let you know. In addition to your current conditions, you can view the hourly and five-day forecasts, receive weather alerts, see multiple weather locations, and change the settings for temperature units, time format, and background type. 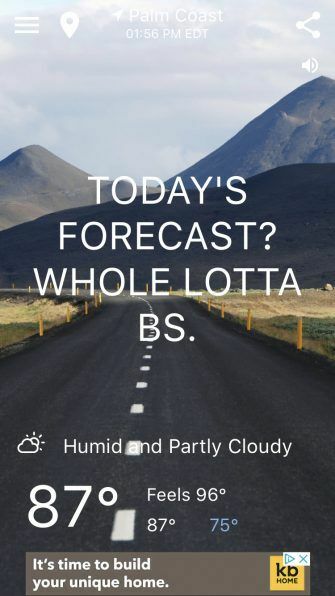 HumorCast is an entertaining weather app whether you enable the profanity or not. 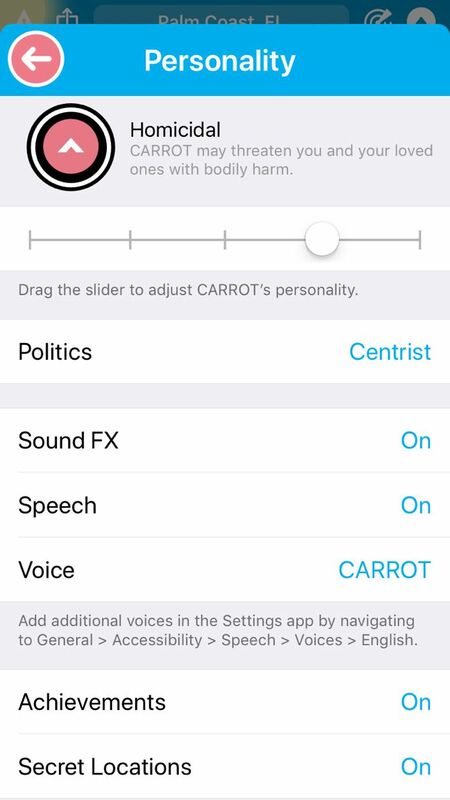 Turn up your volume and prepare yourself for sarcasm with CARROT Weather, meatbag! 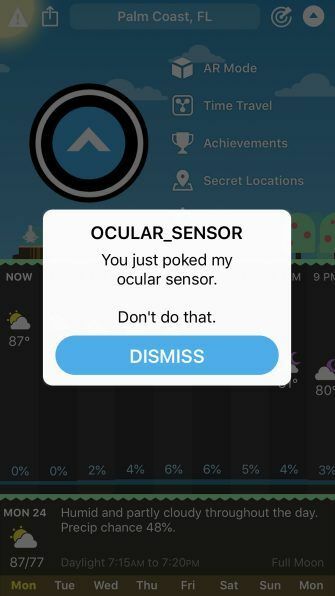 From the words you hear to the ones you see alongside current conditions, you’ll be tempted to poke the app’s ocular sensor more than once. And for some real punishment, adjust the Personality option from Friendly to Overkill. 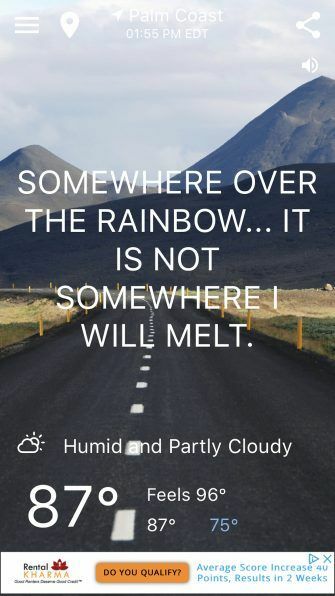 This funny app gives you your current conditions, hourly and daily forecasts, rain and snow predictions, severe weather notifications, and unlockable achievements and secret locations for added enjoyment. Plus you can tap your way into AR Mode for an ocular sensor on your desk, or use Time Travel for past or future weather conditions. 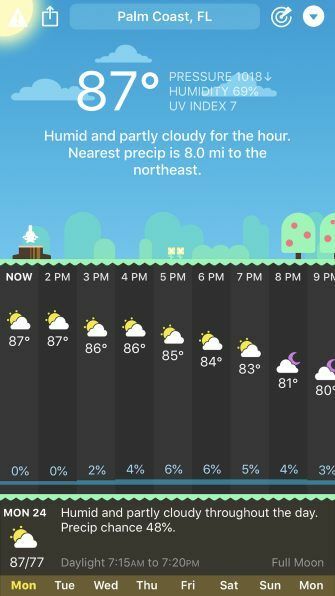 For terrific weather details with a twist of sarcastic humor, CARROT Weather comes through. For something beyond simple humor that borders on obnoxious, check out What The Forecast?!!. 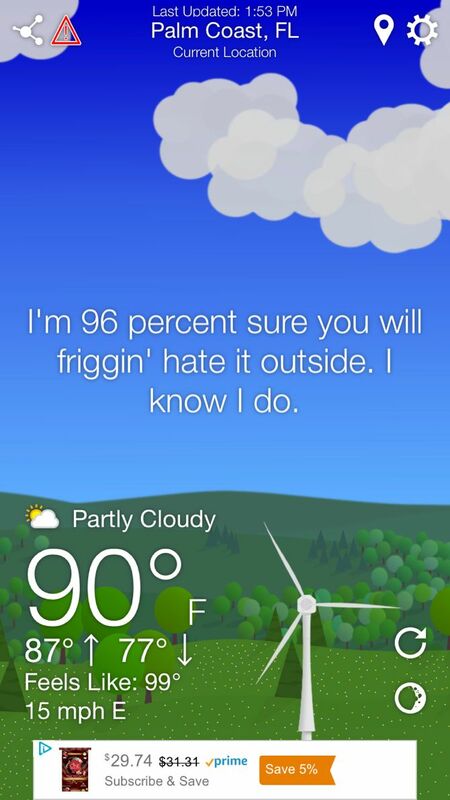 This hilarious weather app gives you the current conditions with a blunt statement or two. And if a few bad words don’t bother you, you can adjust the profanity settings from Off to On or Some, and enable the voice. 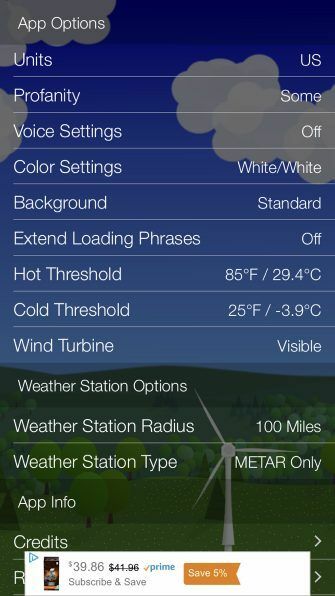 Get your hourly and 10-day forecasts, alerts for severe weather, backgrounds that match your season and current conditions, and settings with options for the app color, weather station, and hot and cold thresholds. If you want a weather app that’s straight to the point and likely to make you laugh a good few times, get What The Forecast?!!. 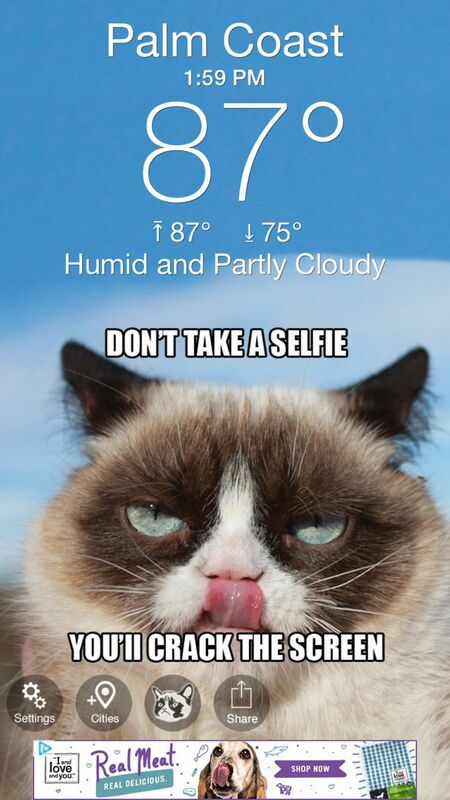 If you’re a Grumpy Cat fan, there’s no better app for you than Grumpy Cat Weather. Start each day with the infamous Grumpy Cat frown and a bit of sarcasm. Then check the hourly and 10-day forecasts, view the animated radar map, and see the times for sunrise and sunset. 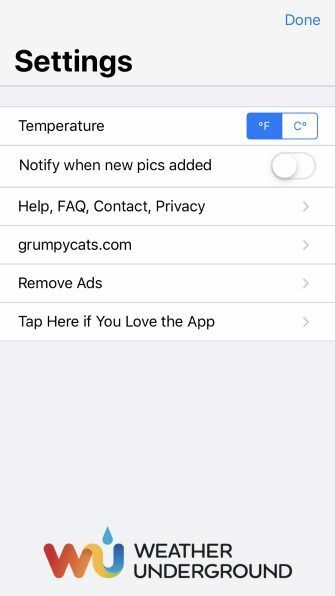 You can head to the settings to adjust the temperature unit and enable notifications for when new photos arrive. The app also lets you share your forecast on social media with a tap. 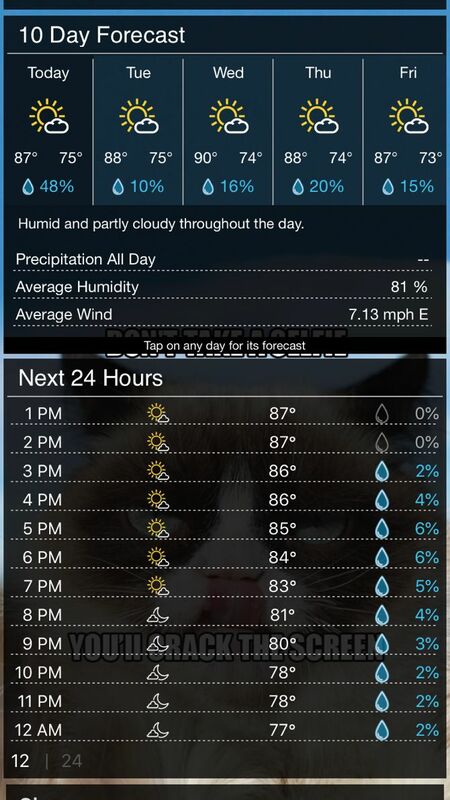 You’ll show your pals how much better your weather outlook is than theirs. Meow! For many, the weather is about one question: whether or not shorts are a good idea. If that’s you, check out the aptly named Can I Wear Shorts Today?. 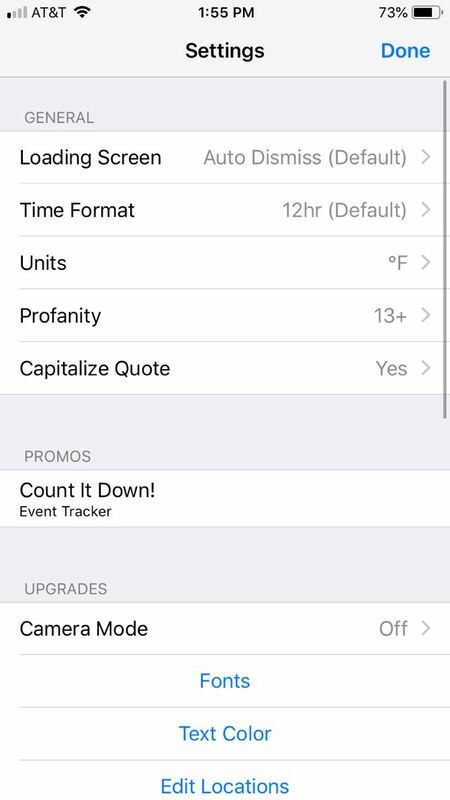 Enable your location or type one in at the top, then see the answer to that burning question. 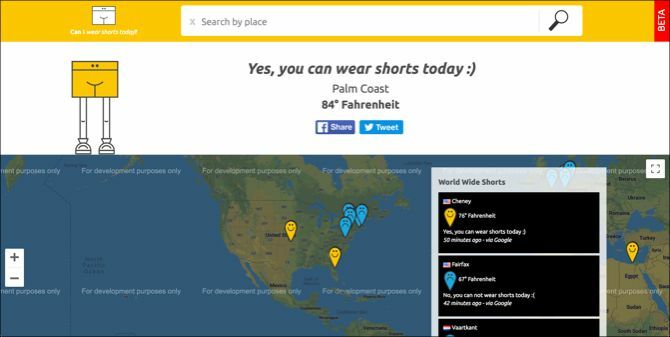 You’ll also see the temperature for the location, spots on the map with smiley and frowny faces, and a scrolling list of spots around the world showing if it’s good or bad day for those shorts. 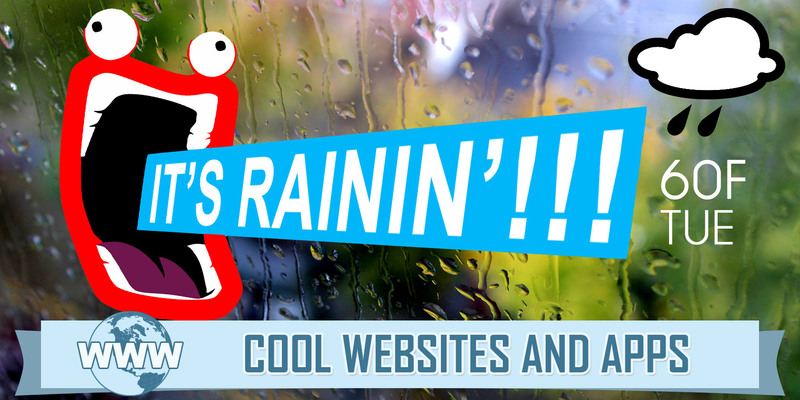 And you might also peruse some of the best weather websites for in-depth details. Web: Can I Wear Shorts Today? 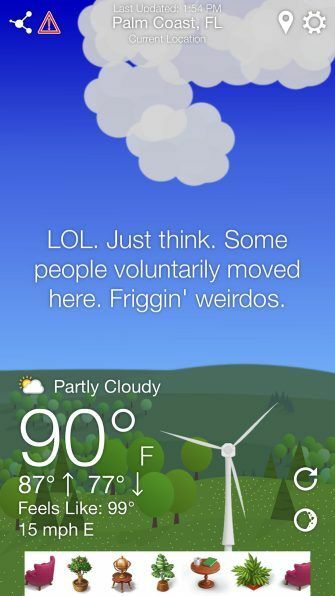 Why keep looking at the same ordinary weather apps and websites? 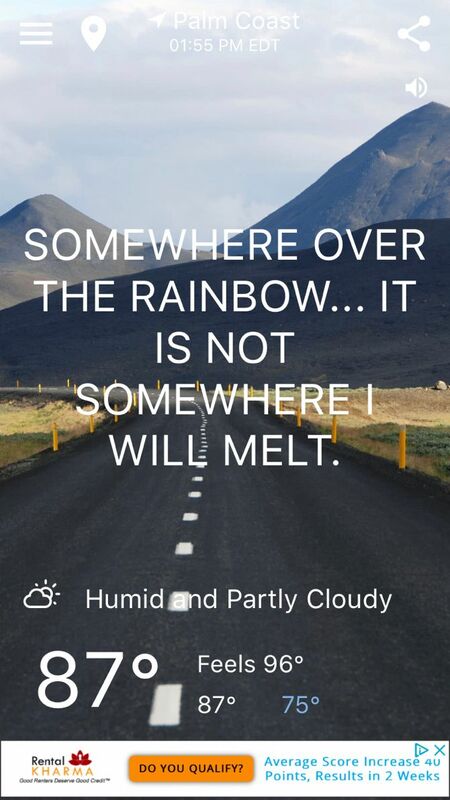 If you add a little humor to your weather, it might also add a big smile to your day.